Ian & Chrissie were married in October in London. Their ceremony was held at Islington Town Hall and their reception took place at The Britannia pub in Victoria Park, Hackney. 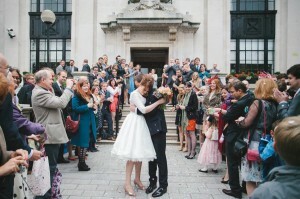 The two venues helped to set the tone for their quirky, quintessentially ‘London’ and vintage-inspired day.